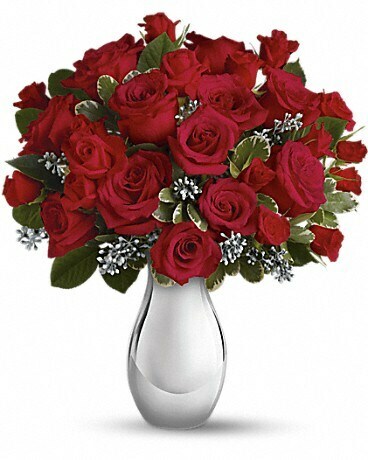 Red and green, the classic of colors of Christmas, are beautifully displayed in this glorious array of red roses accented with the season's freshest greenery. 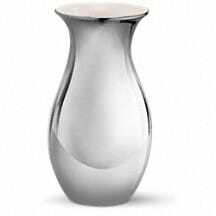 Artistically arranged in a silver reflections vase that will be a favorite for bouquets year-round. Spread the Christmas spirit with grace and glamor. 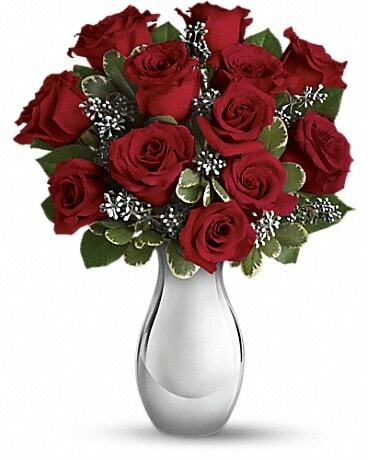 Send 12 premium red roses and spray roses artistically arranged in a contemporary silver reflections vase. They'll be dazzled - by the bouquet and your amazing sense of style.